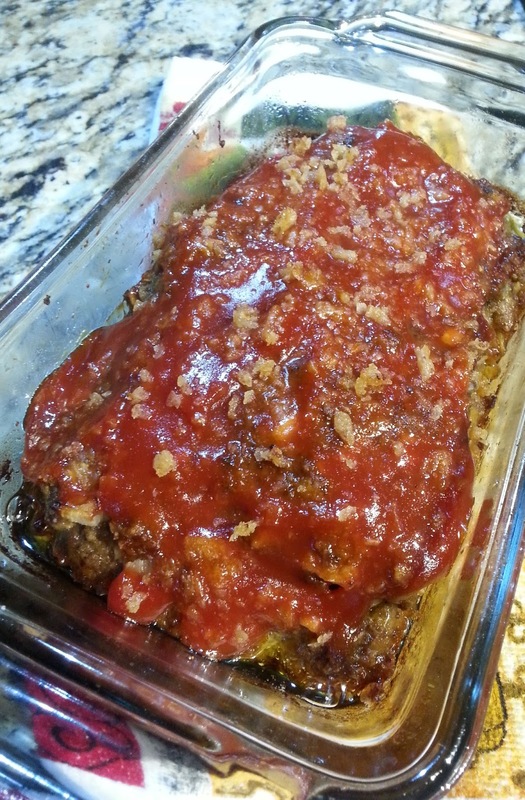 This classic comfort recipe for Cheesy Meatloaf will take your taste buds down memory lane. We top our meat loaf with ketchup. In a bowl, combine, ground chuck, salt, pepper,onion, bread crumbs,eggs, worcestershire sauce and cheese. Using your clean hands, mix meatloaf mixture and place in loaf pan. Bake 50 minutes. Drizzle worcestershire sauce. Spoon on ketchup and sprinkle with crushed french fried onions. Bake another 10 to 15 minutes, until no longer pink. Drain if needed. Slice and serve. We love meatloaf, too!! Thanks for the great recipe! Meatloaf is one of our favorites. Love meatloaf and its versatile. Thank you very much! Enjoy!